Need a marketing plan for your janitorial business? Here are 10 marketing ideas, tips, and tricks that will help you generate leads, close deals, and retain your best clients. 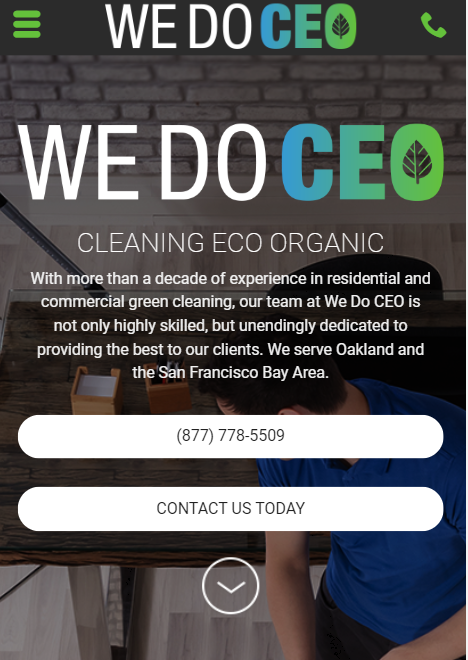 The focal point of your janitorial service lead-generation efforts is your website. It’s your business card, brochure, service description, and salesperson all wrapped into one. Think of your janitorial website as a guide. It helps people understand the value of your services and gives them a good reason to select you instead of your competition. It also guides visitors towards taking the action of contacting you so they become a lead. You want a strong call to action with highlighted contact information. Be clear about where you’re located and what your services are. You want something modern but simple. 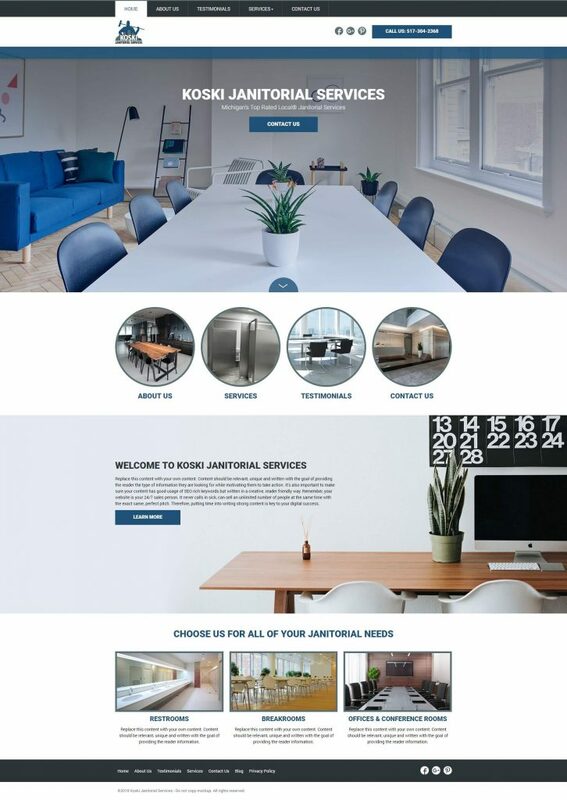 An open design with a clean layout and strong use of white space will give the right impression of your business. After you’re done, run some usability tests. Compare your website to the competition. Is the value of your offering clear? Would you choose you? If you’ve done a good job with design and content, you should be the clear choice in your area. Communicate a value proposition that differentiates you from the competition. Make sure you communicate where you are and/or what your service areas are. Have a call to action for leads to contact you. They have a unique value offer with green, eco cleaning services. They mention in their sub-header that they serve the Oakland and San Francisco areas. They have click to call, their full phone number, and a contact form. This website conveys this essential information with minimal content. Visitors will know why they should choose them, where they are, and how to reach them in just seconds. Very effective for lead generation. Office managers looking for commercial janitorial services are likely to turn to Google to see what their options are. You want to dominate search results in three areas. Both commercial janitorial services need to rank on page one for searches in their area. Most people will start their search for a cleaning service on Google. The second is the Google My Business listing. This is a free listing that ties into local search and Google Maps. 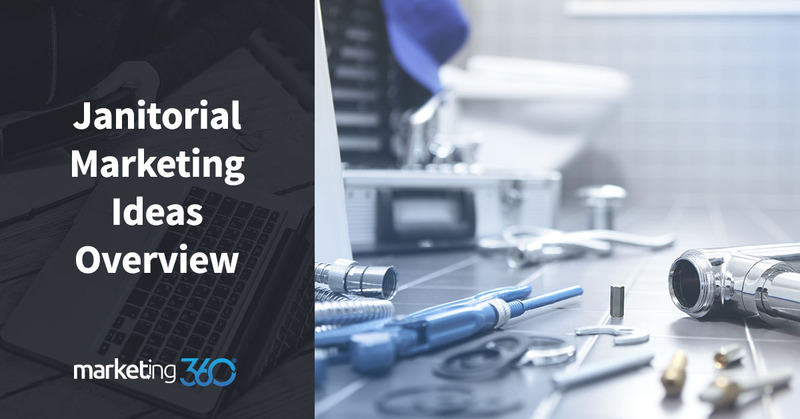 It’s important to optimize your description and service listing with the keywords, particularly for the cleaning services you specialize in. As a cleaning service, this listing will tie into your physical location. To get search results in other areas you service, you’ll need to run PPC ads. Also, more positive reviews will help your ranking. The third is the organic listing of your website. This is driven by your search engine optimization (SEO) work. Optimize your site for target keywords, get some backlinks into your site, and blog on a regular basis to get high rankings. If your business is not appearing in at least one of these spots, that’s your priority. 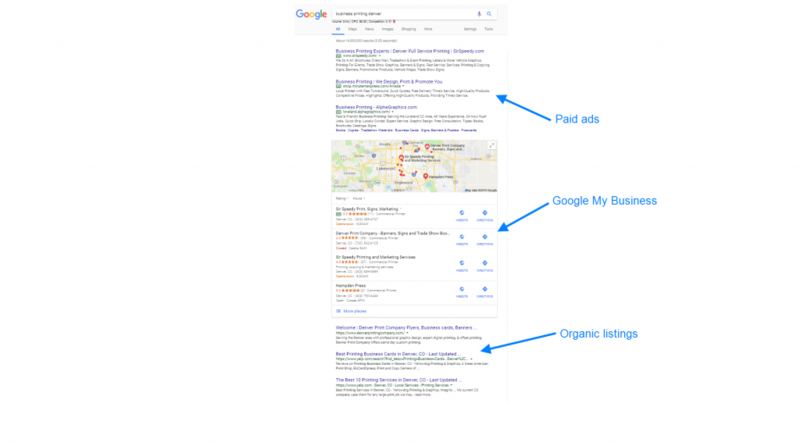 Start with paid ads at the top, then work on your organic listings. Most janitorial services target areas outside their primary location. Some cover large regions of a state or even multiple states. Make sure you correctly edit the service area in the address section of your Google My Business listing. This identifies your business as one that works on-site with customers instead of having a storefront. Click Edit for the Address section. Today, it’s impossible to ignore the influence of online reviews. The simple truth is people trust what your customers say about you more than what you say about yourself. You can have a tight, convincing value proposition, but it probably won’t have as much impact as what your last 5 clients said about on Google or Top Rated Local. The good news is you can get the content working for you. It starts by realizing that your service levels directly connect to the review content that gets published about you. When you keep your promises and even surpass them, it will help your marketing. When you cut corners, it is likely to cost you later. When they click “Good” in links to a review site for them to review you. When they click “not good”, it opens a feedback form. 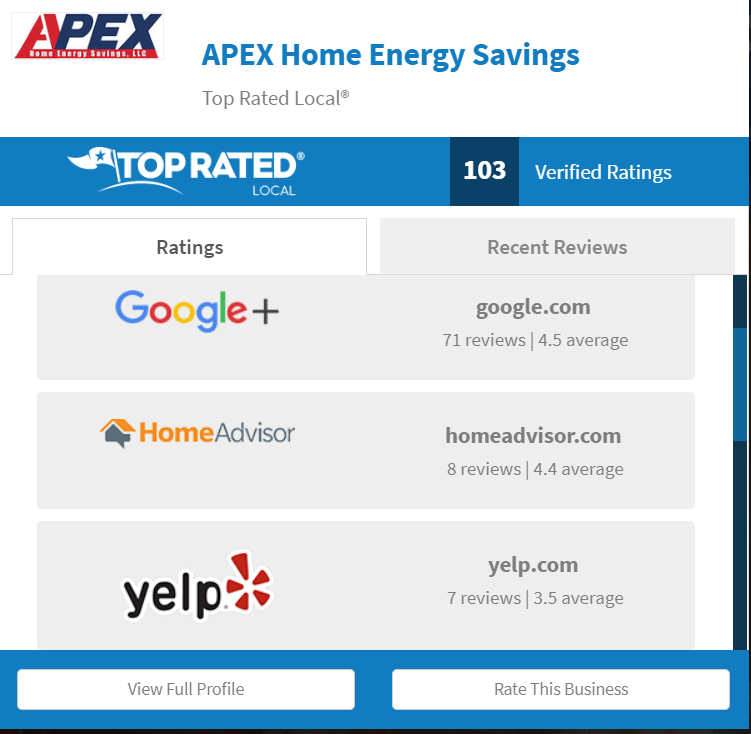 Use this to get reviews on Google, Yelp, Facebook, and Top Rated Local. Online marketing benefits from a kind of digital persistence called retargeting, which are ads that display to people who previously visited your website or Facebook page. This works because people rarely make immediate decisions online. They procrastinate and get back to their web surfing. Retargeting ads remind them that they still need to find that janitorial service for the office. The best retargeting ads have clear branding and a strong call to action. Often leads will click back to your website to convert, but the ads also increase brand awareness that leads to direct traffic to your website. To rank higher for specific terms (for example, “janitorial services Denver”), create what we call a monster page. A monster page is an SEO focused page that uses fully developed content and design to rank higher organically in search. It works well for informational searches, and can also rank well for geo-targeted searches. You can create these pages for all the services you’d like to rank for in your area, increasing the free, organic traffic to your site. Read a case study on how a monster page increases organic ranking. For commercial janitorial services, you need to make contact with decision makers in offices, often office managers, human resources personnel, or possibly outside property managers. Start by using LinkedIn, which is the most useful social media platform for commercial janitorial. On this platform you can connect with people based on jobs and location, letting you get your name in front of the right people at large office complexes. You can run ads, directly contact people, and share information on how to maintain a clean, healthy office space. Learn more about marketing on LinkedIn. Most of what we’ve talked about here is new lead-generation, but don’t forget that your existing clients are your most valuable contacts. Use CRM software and email to keep in regular contact with your clients. Start with a quarterly newsletter (you can email and snail mail this) with updates on your services, tips on commercial janitorial, and special offers. The ideas here is just to keep your brand name in front of people and remind them that you appreciate their business. Use CRM software to track the work you do for clients and to keep all communication updated. You can also personalize messages as needed, sending out reminders and greetings (birthday or holiday wishes, for example) to specific clients. Never overestimate how much clients care about your services, and never underestimate how aggressively new competition will advertise to try and steal them. Keep in regular contact with clients and make sure they know you care and that you always offer the best value. When we talk to janitorial businesses marketing in large, competitive urban areas, we discover many have the same problem. They have one agency doing paid search. Another doing organic search. 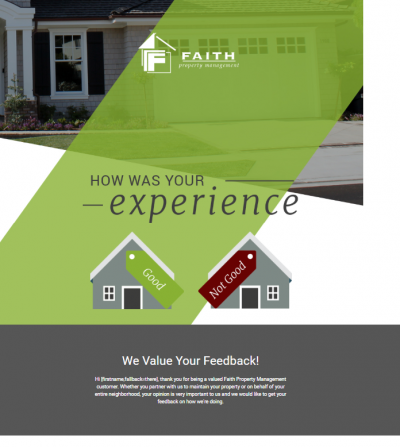 Yet another designing their website and banners. Somebody’s niece is doing some social media. The marketing is all over the place. It’s all but impossible to execute a cohesive marketing strategy when you’re using all these different resources. And it is impossible to track what you’re doing and make improvements based on solid data, which is what marketing is all about. We developed the Marketing 360® solution to counter this problem. Our software and talent hybrid is the perfect all-in-one solution for SMBs like janitorial services. You can track all your marketing in one place. You have one marketing executive who is your point of contact. You see complete – but not overwhelming – data on your marketing across all channels. Best of all, you get a lot of hot leads that you spend your time working, which means more paying clients you spend your time serving. Most business owners prefer this to spending all their time trying to figure out the latest changes from Google or Facebook. If your website is out of date and underperforming and your marketing campaigns are as organized as frat house bathroom, talk to one of our marketing consultants today. We can clean up your marketing so you can clean up on your janitorial lead generation.